Medical research charity LifeArc is to spend up to half a billion pounds in royalties earned from cancer blockbuster Keytruda, to fund cutting edge R&D that big pharma considers too risky. Formerly known as MRC Technology, the newly rebranded LifeArc helped to develop Merck & Co’s blockbuster Keytruda (pembrolizumab) more than a decade ago. Areas of research will include personalised cancer drugs, neuroscience and antimicrobials to combat resistance to antibiotics. The charity said the money will be allocated by setting up ‘Communities for Impact’- networks that bring together the best partners to drive medical innovation in specific therapeutic and diagnostic areas. LifeArc has also established two new funds to progress medical science, and these are worth a combined £30 million over four years. The Philanthropic Fund will provide grants to support academic research funded by other medical research charities and organisations, while the Seed Fund will invest in early stage therapeutics and biological research. 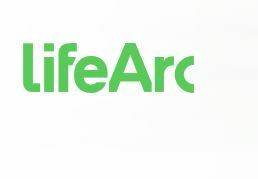 LifeArc noted that its work has already helped to develop treatments for patients suffering from cancer, rheumatoid arthritis, multiple sclerosis and Crohn’s disease, as well as an improved test for antibiotic resistance. To accommodate the increase in new projects it progresses through its labs, LifeArc recently moved into state-of-the-art facilities in Stevenage and Edinburgh. The Stevenage site hosts around 80 scientists working on antibody and small molecule research, while £10 million is being invested to create a centre of excellence for diagnostic development in Edinburgh. Earlier this week, the charity forged a partnership with molecular diagnostics company Biocartis to develop a liquid biopsy test for breast cancer.